Reacting to the news, shares of Jet Airways surged as much as 17.77 per cent and touched an intra-day high of Rs 266 apiece on Bombay Stock Exchange. Jet Airways shares rallied as much as 18 per cent in intra-day trade on Monday after the company's Chairman Naresh Goyal and his wife Anita Goyal resigned from the board. Shares of cash-strapped Jet Airways rallied as much as 18 per cent in intra-day trade on Monday after the company's Chairman Naresh Goyal and his wife Anita Goyal resigned from the board of directors of the ill-fated airline. Naresh Goyal and his wife Anita Goyal have resigned from the board of the cash-strapped Jet Airways on Monday, the company said in a filing to the Bombay Stock Exchange. Reacting to the news, shares of Jet Airways surged as much as 17.77 per cent and touched an intra-day high of Rs 266 apiece on Bombay Stock Exchange. Paring some of the gains, shares of the company settled at Rs 254.50, up 12.69 per cent, against previous closing price of Rs 225.85. On the National Stock Exchange, the stocks of the company closed trade at Rs 261 apiece, up 15.46 per cent. It touched an intra-day high and low of Rs 265.70 and Rs 219, respectively. Since morning there was speculation in the market that Naresh Goyal and his wife Anita Goyal may step down from the board of directors of the airline they founded 25 years ago. The share of the company has been gaining for the last two days and has risen 6.93 per cent during the period. 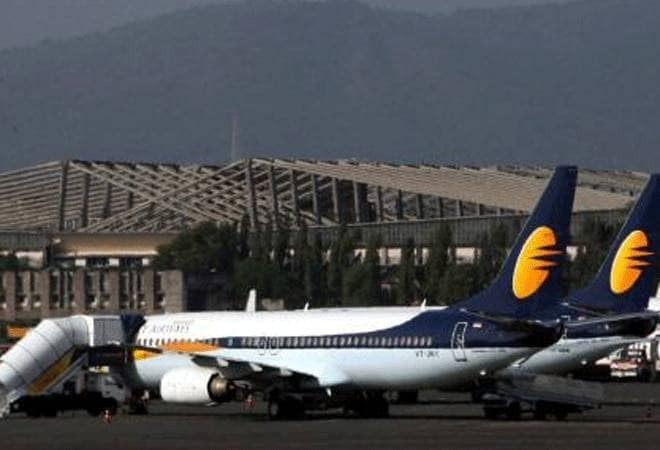 The company in a filing to exchange said that its board of directors of Jet Airways (India), at its meeting held today, considered the resolution plan being formulated by a consortium of domestic lenders led by State Bank of India. "As per the resolution plan, two nominees of promoter, Naresh Goyal and Anita Goyal, and one nominee of Etihad Airways PJSC to step down from the board," it said. Additionally, Naresh Goyal also ceased to be the Chairman of the company, it added.